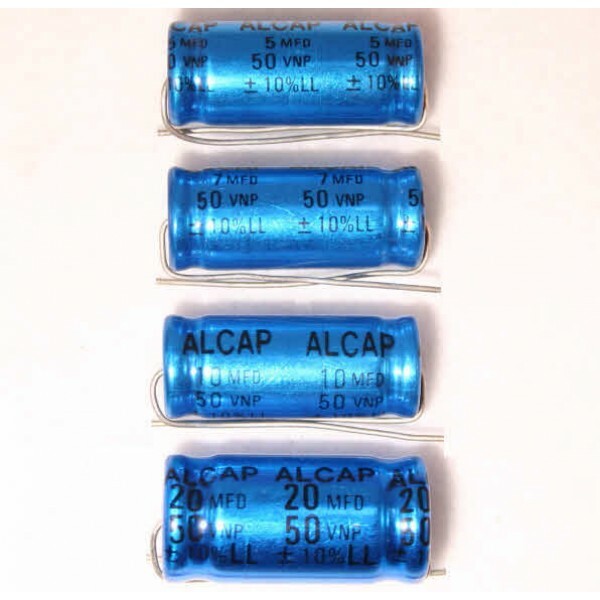 Alcap 6.80uF 50V DC Low Loss Electrolytic Capacitor non-polarised series from Falcon Acoustics, The Leading Supplier of DIY Hifi Components. 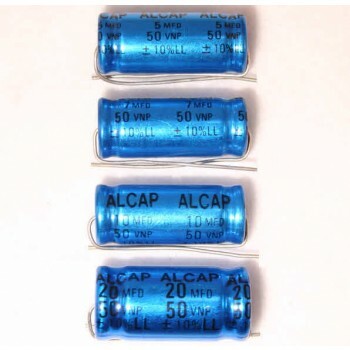 Alcap 6.80uF 50V DC Low Loss Electrolytic Audio Capacitor non-polarised reversible series for loudspeaker crossovers and networks, tolerances available, from Falcon Acoustics, the leading supplier of diy hifi components. Please note this value will be supplied as 7.00uF selected for tolerance to 6.8uF.